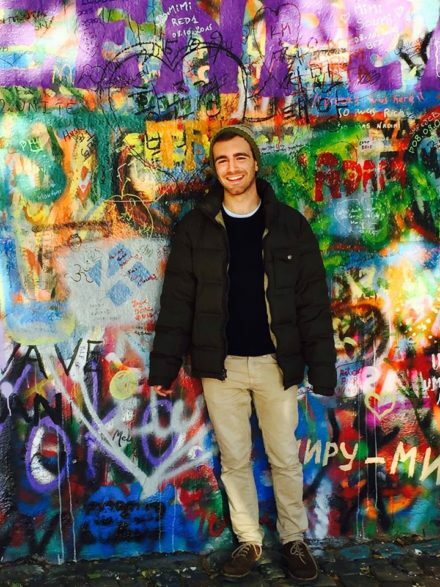 This week’s Staff Spotlight is on Jake Sussman. Jake began his time at Echo Lake as a Middle Junior Boy camper (currently called Lower Junior) in 2004 and is returning for his 2nd summer as a Group Leader and 12th summer collectively. Jake is bringing with him his enthusiasm, excitement, and love for camp. Enjoy learning more about Jake below! What year is this for you at camp? This is will be my 12th summer at camp, fourth on staff and second as a group leader. What brought you to camp? I started as a camper in 2004 after visiting and feeling at home ‘neath the pines. I’m from Chappaqua, New York. I go to college at Tulane University in New Orleans, Louisiana, although I studied abroad in Prague, Czech Republic this past fall. I’m a rising senior at Tulane University, where I major in Communication and minor in Psychology. I’m also the president of my a-cappella group, Green Envy, and I’m a marketing intern at Audubon Zoo. What is your background experience working with children? In addition to working with the Frosh Boys at Echo Lake for three summers, I volunteer at the Boys & Girls Club in New Orleans and I have assistant directed some school plays back in Chappaqua. What are the goals for your campers for the summer of 2016? I hope my campers step out of their comfort zones and gain independence! At the end of the summer what do you hope your campers will say about their summer? I hope that my campers look back at the summer happy about a new experience they had, whether they are first year campers or old pros at Echo Lake.